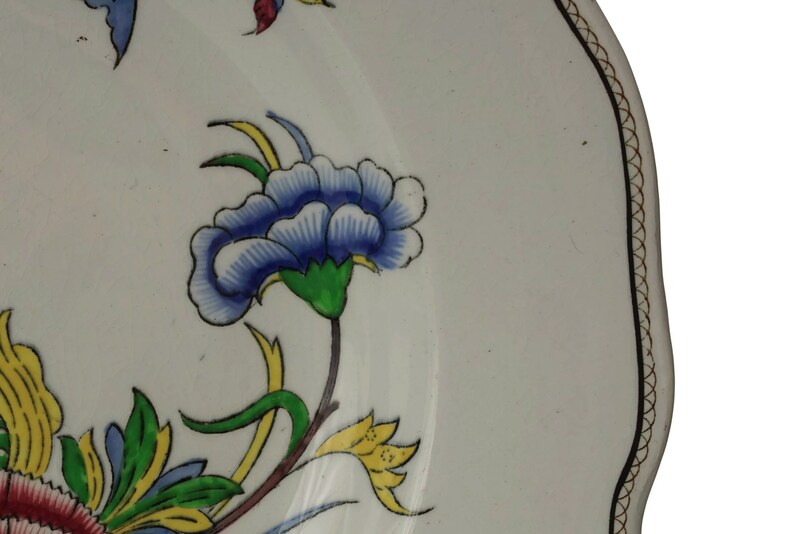 A charming antique French faience soup plate dating from the late 1800's. 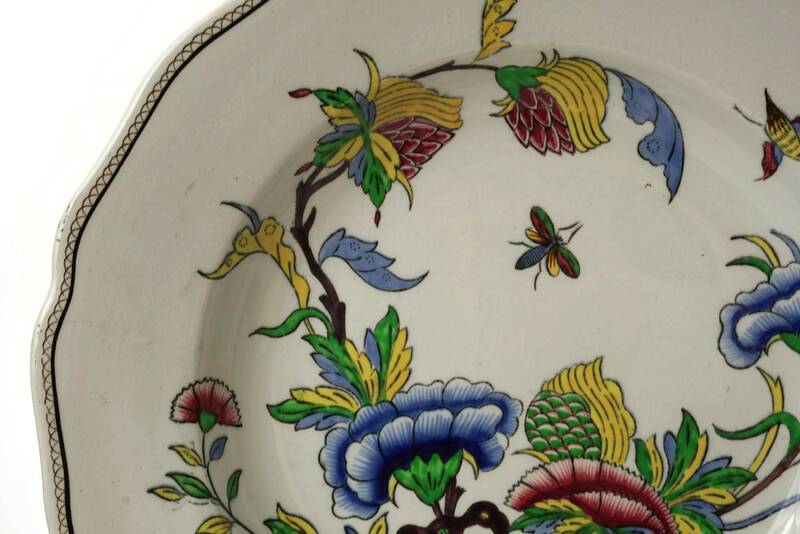 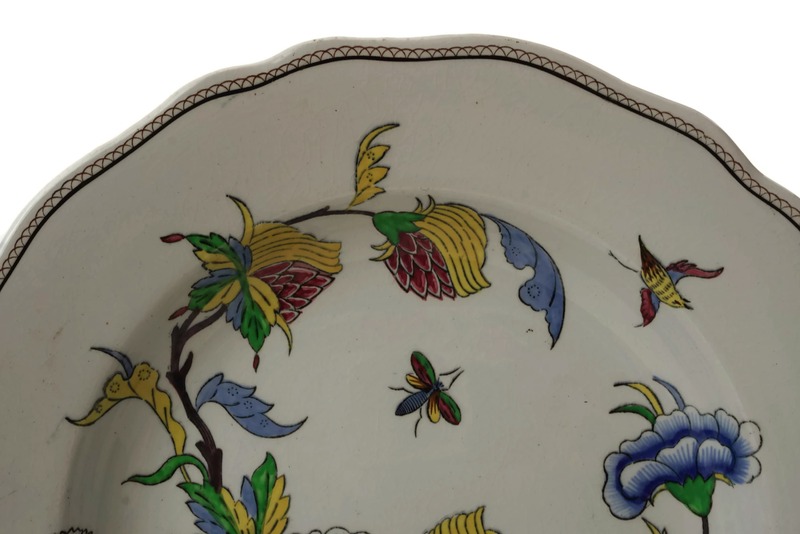 It was manufactured by Sarreguemines in the Rouen design which features a beautiful hand painted insect, bird and flower pattern. 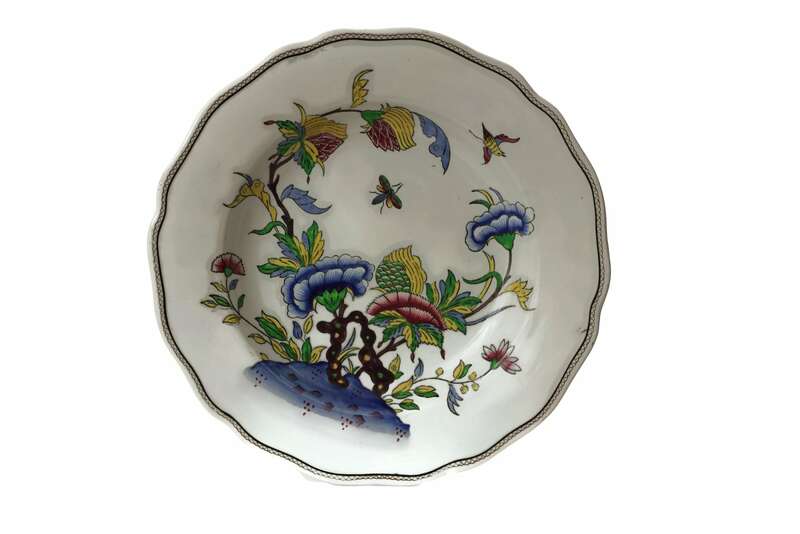 The glazed ceramic bowl has an elegant scalloped edge with hand painted border. 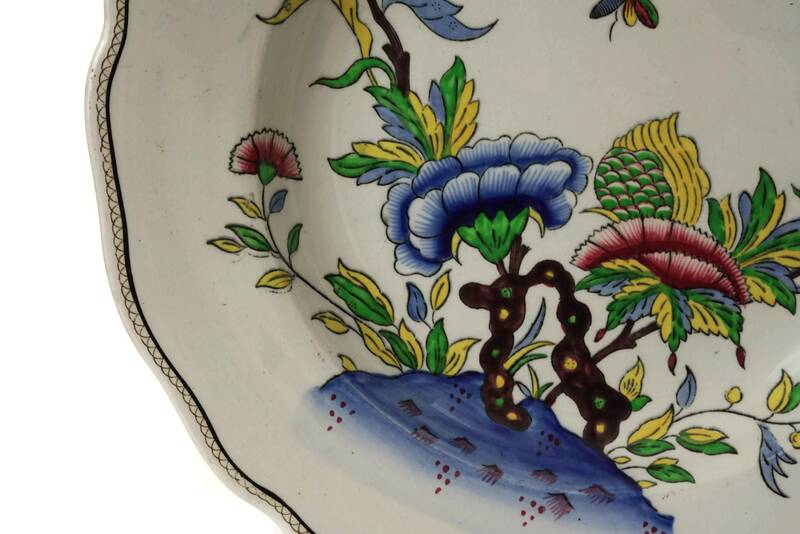 The decoration has bright and vivid tones. 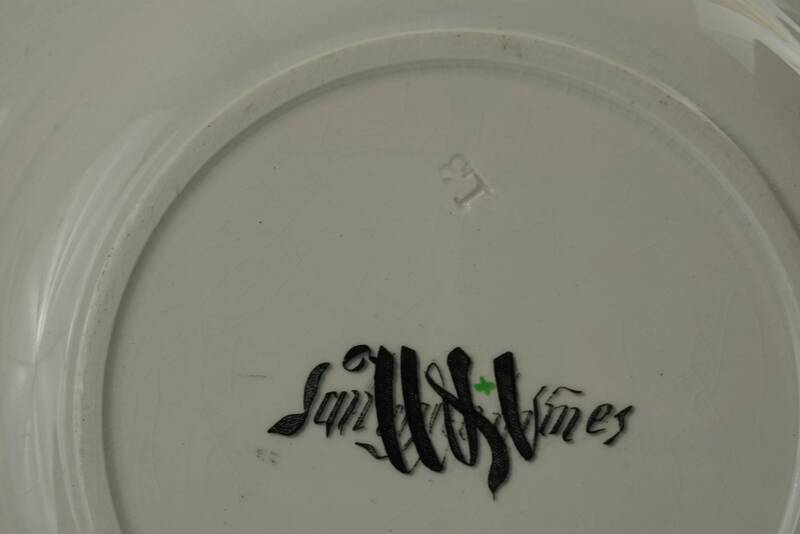 The underside has been stamped with the Sarreguemines maker's mark. 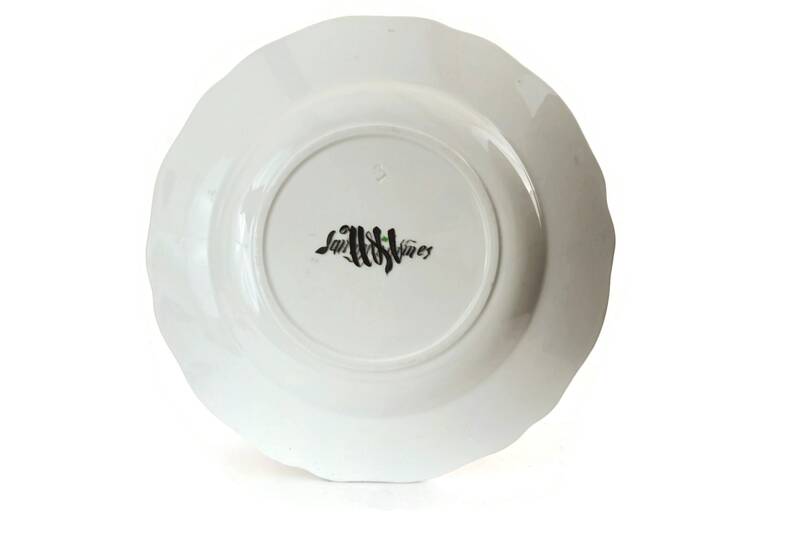 9.5" in diameter (24 cm). 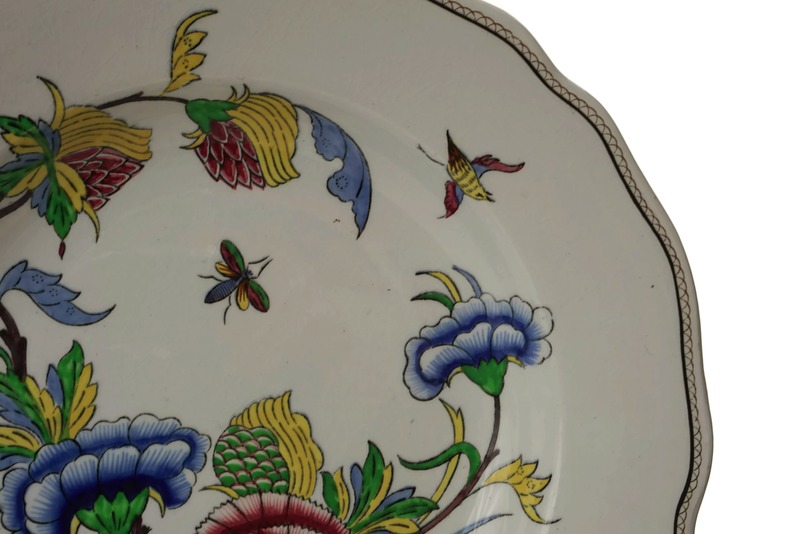 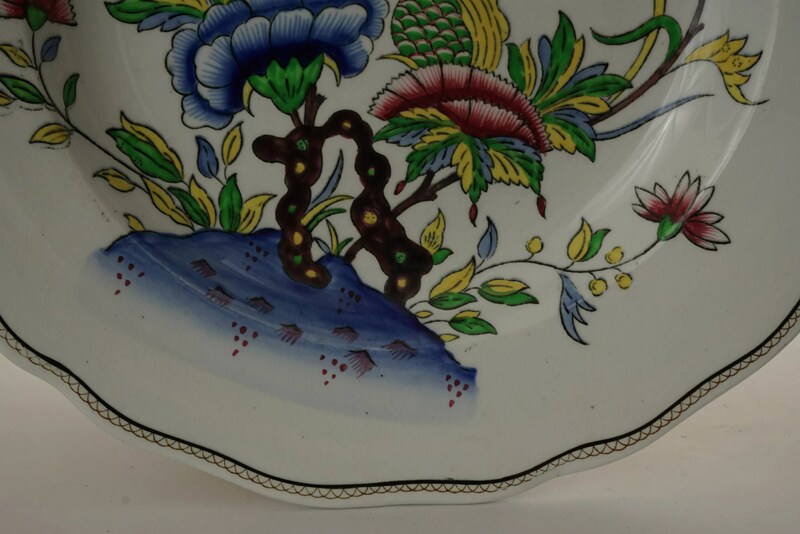 The French soup plate is in very good condition with light wear. 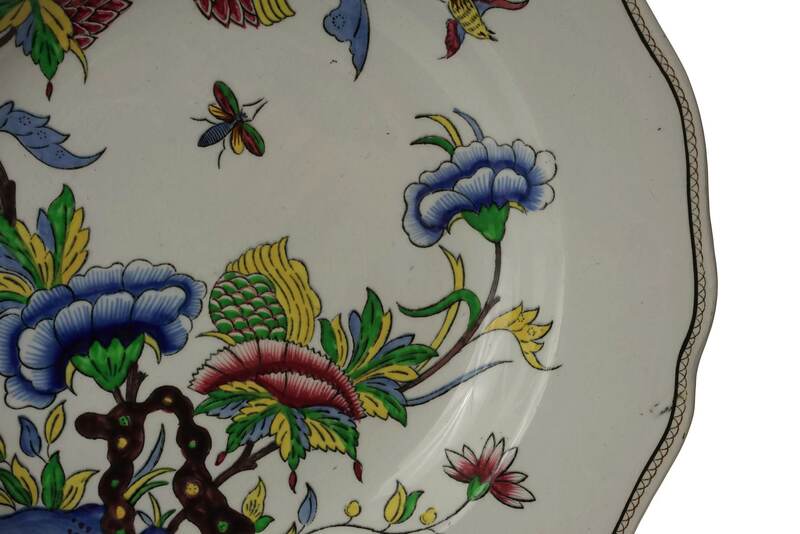 There are no cracks, chips or restoration.